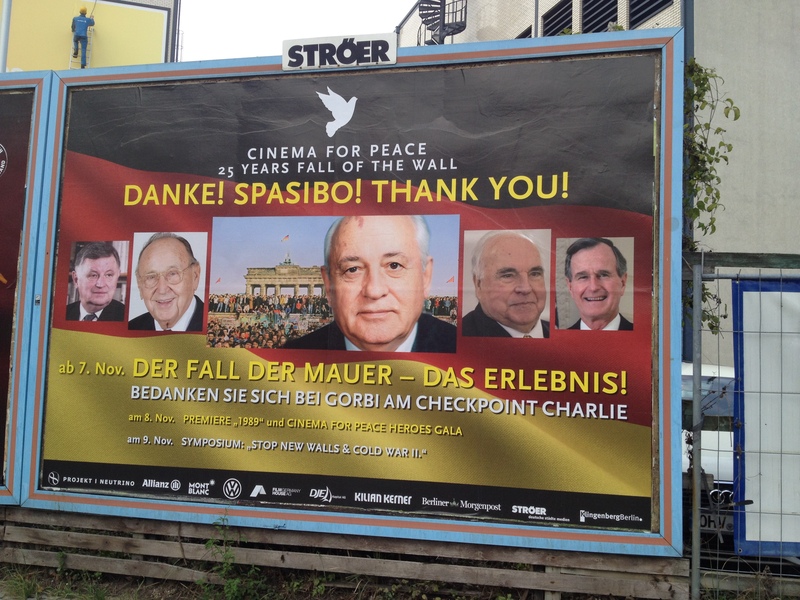 Note: This is the first of two posts recounting Eye on the East’s recent visit to Berlin. Part two can be found here. 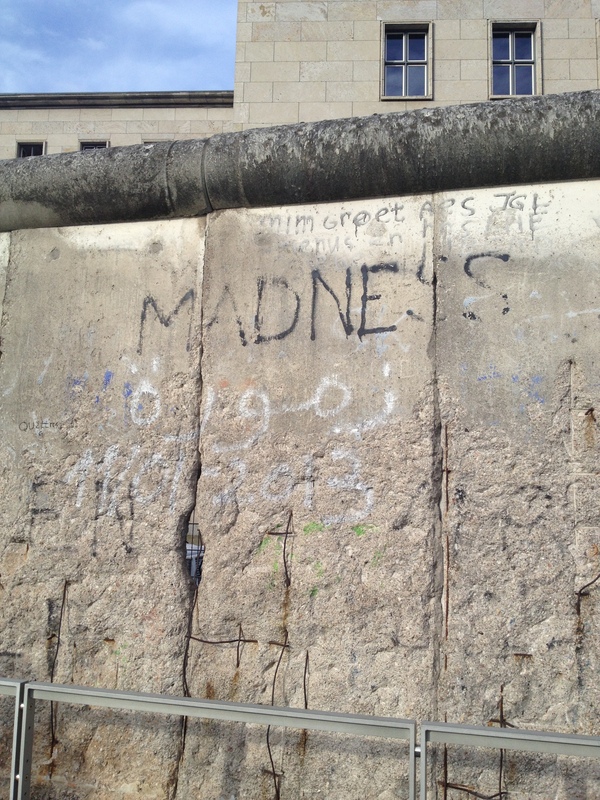 I hate to admit it, but until very recently, I still associated Berlin almost exclusively with the Berlin Wall. Even after 25 years since the wall crumbled to pieces, stories of successful and failed escapes from East to West Berlin, neighborhoods divided by a simple concrete structure and tales of how a Cold War of worldwide proportions was also played out in the alleys of a single city, have never failed to intrigue me. 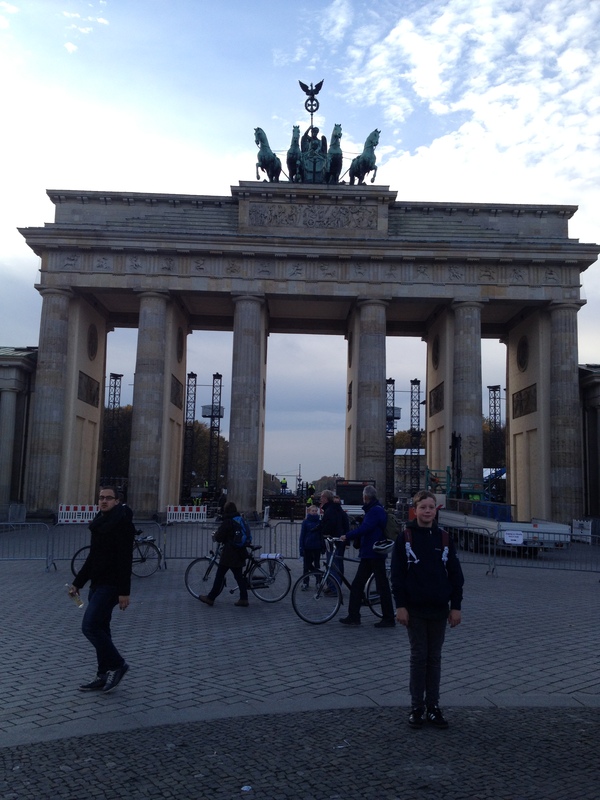 It is mostly due to this socio-political curiosity – and not my love of sausages – that finally led me to visit Berlin. 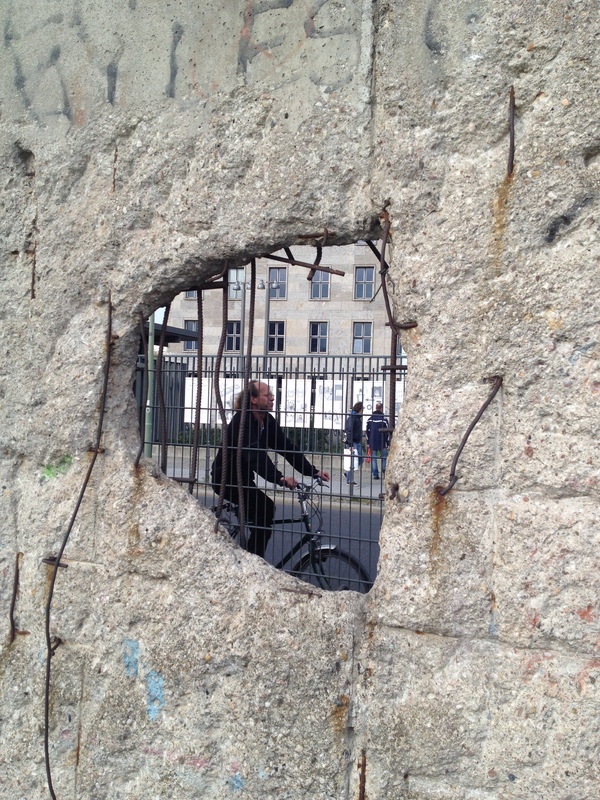 The fact that the visit coincided with the 25th anniversary of the fall of the wall, made the sightseeing a bit more crowded, but surely not less emotive. 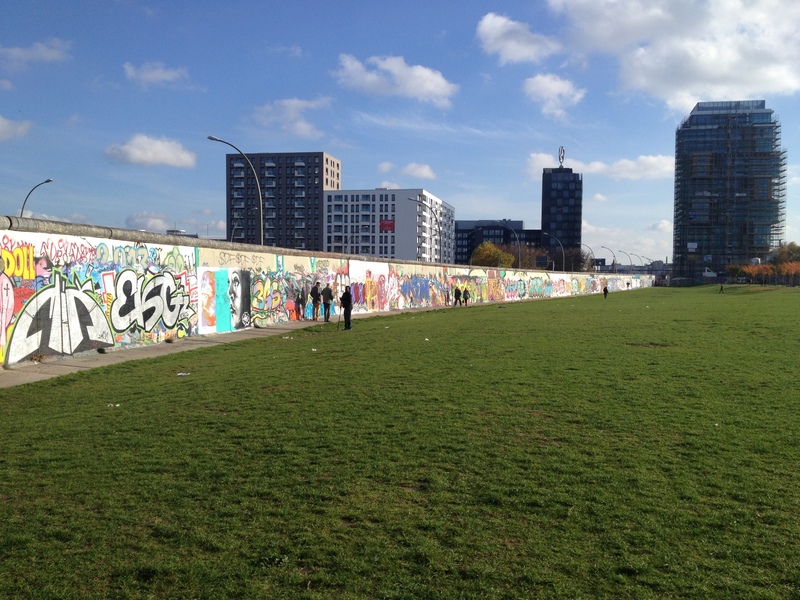 There are many ways to experience the wall and absorb its legacy while walking the wide and never-ending streets of Berlin. One of them is simply to look: at the actual parts of the wall still standing and read the stories from both sides of the divide exhibited throughout the city. 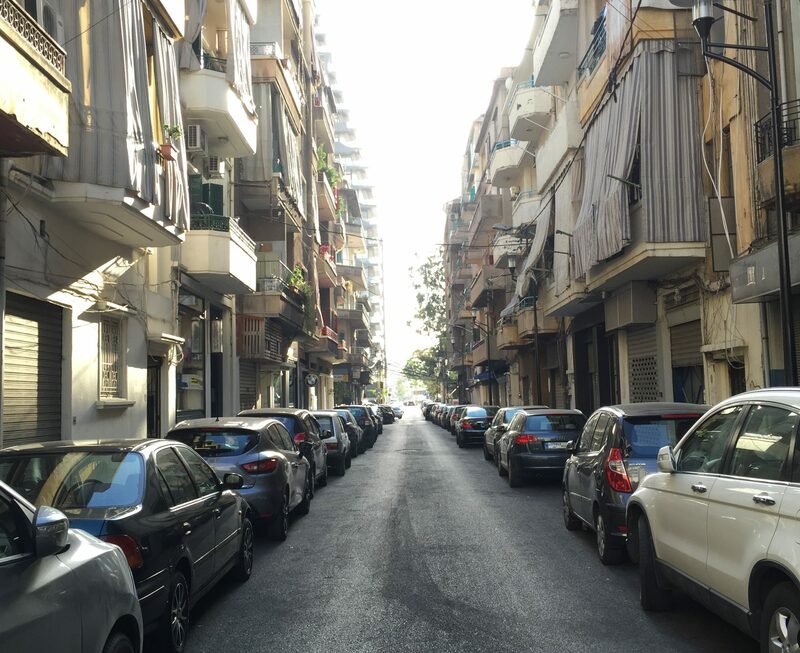 By inspecting the relatively modest size and height of the wall and reflecting on the absurdity of how it stood in the way of an entire city. One can also listen to the stories: of those who believed it was useless to celebrate the 25th anniversary because nothing would come out of it and that life moves on, to those that recognized how their lives had changed for the better because of the fall of the wall (usually those from East Berlin), which was reason enough for the commemoration. Some Easterners recount tales of continued discrimination against them and a slight bitterness that everything they held dear in the East had been discredited by the West (such as the educational and welfare systems), but later partly adopted by the West itself. Of course, there is also research that shows that on many levels, Berlin remains a divided city. 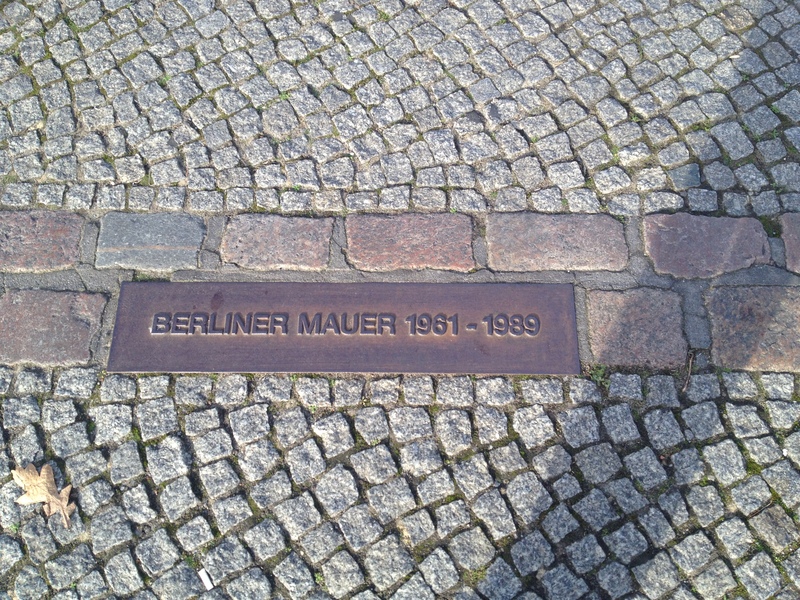 “The Berlin Wall 1961-1989” Two parallel lines of cobblestones extend throughout Berlin showing the location of the wall. 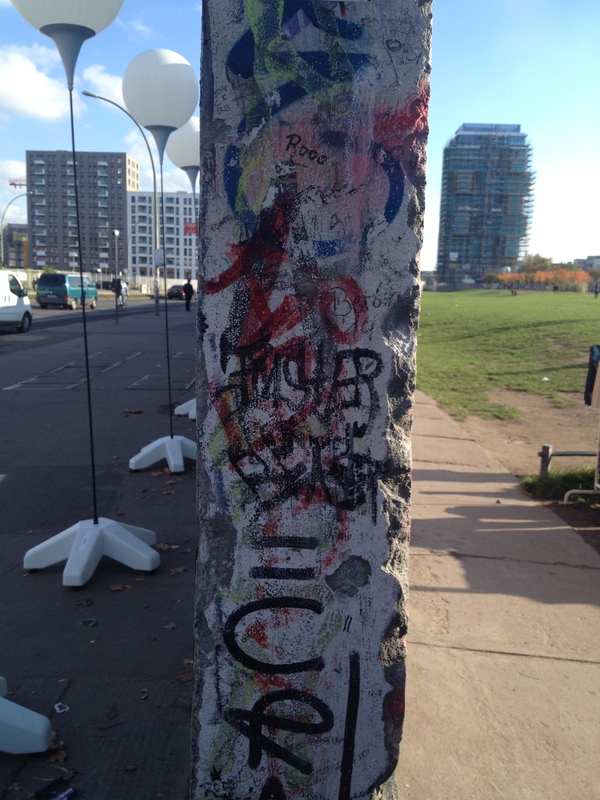 One of the best preserved remains of the Berlin Wall on Niederkirchnerstrasse. Remains of the Berlin Wall on Niederkirchnerstrasse. From West Berlin looking into East Berlin – Niederkirchnerstrasse. Berlin’s historical Brandenburg Gate. The Berlin Wall shut off access to the gate for both East and West Germans. 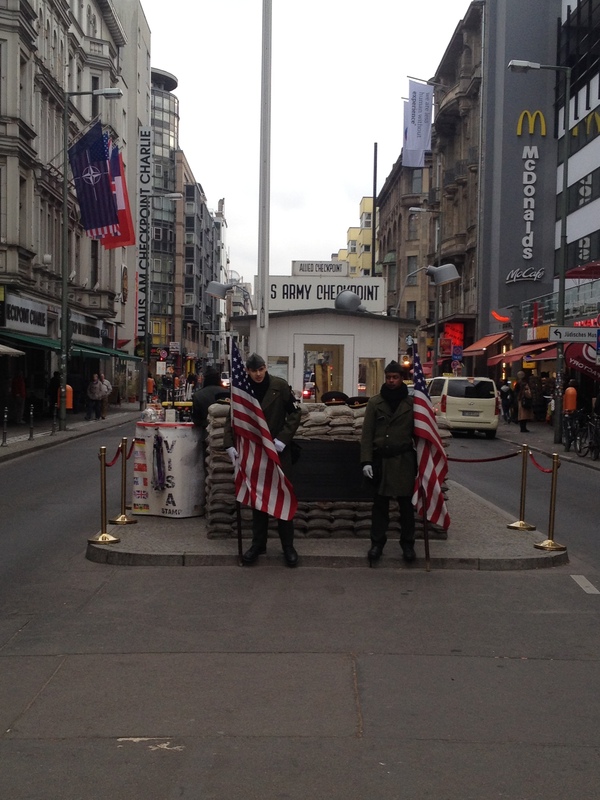 Checkpoint Charlie was one of the main crossing points between West and East Berlin. What remains is a fake checkpoint manned by actors posing as U.S. Army personnel. 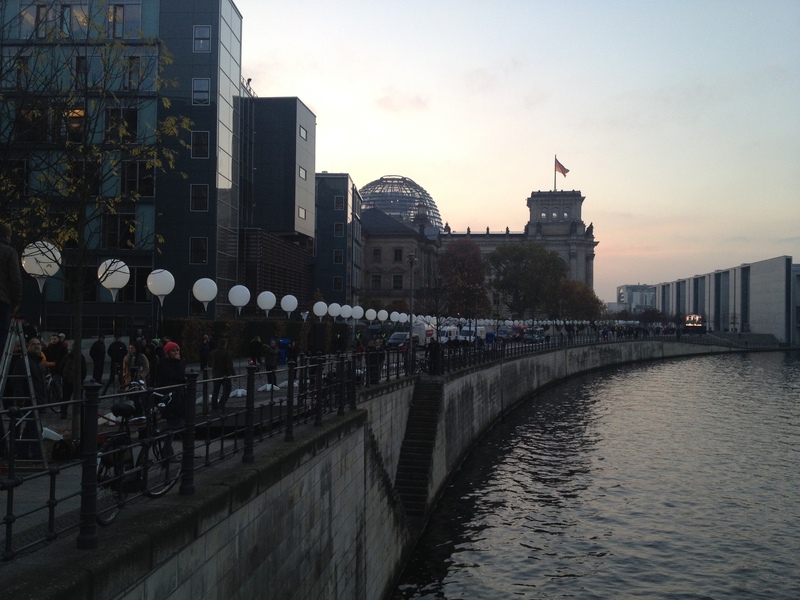 Thousands of helium balloons were set along the lines of the former wall in Berlin for the 25th anniversary of the fall of the wall. The balloons were released one by one, as a symbol of the wall’s fall, on the evening of November 9, 2014. Berlin Wall remains at the East Side Gallery on Mühlenstrasse. Most of the graffiti decorating the wall was drawn after 1989. East – West. East Side Gallery, Mühlenstrasse. 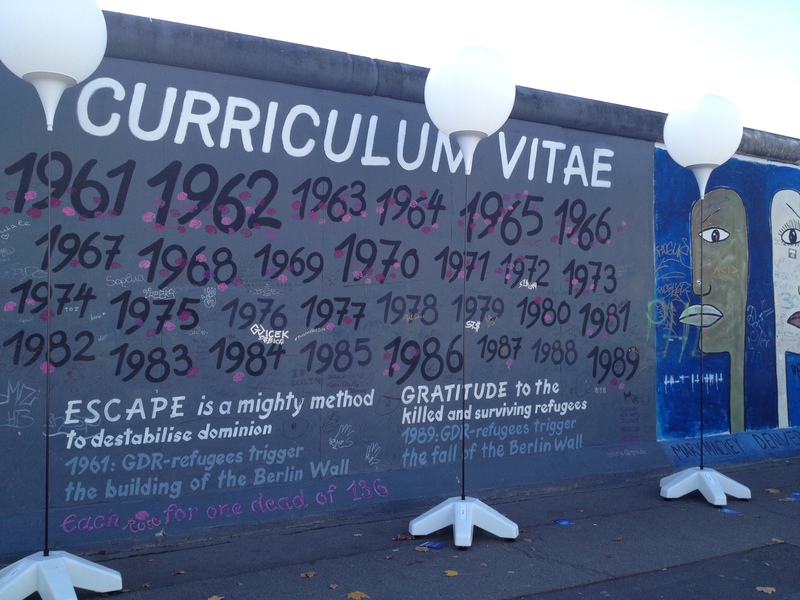 Curriculum Vitae of the Wall. East Side Gallery, Mühlenstrasse. 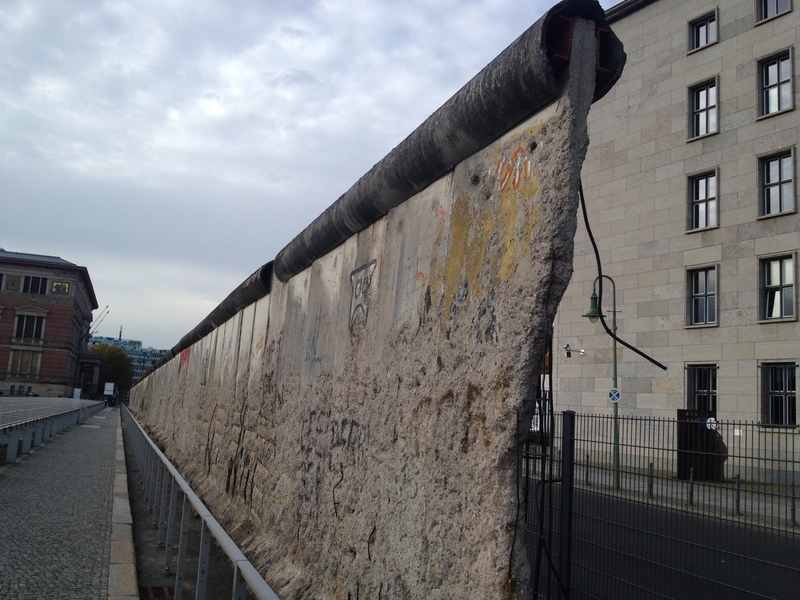 No wall was meant to last forever, just as no wall was meant to fall on its own, as East and West Berliners will tell you. While tearing the wall down is one thing and unifying is a totally different thing. But then again, Berlin isn’t only about the wall, as I finally got to discover, but that will need another post…stay tuned.